Home / News / Toy Street Here We Come! Attention all NYC vinyl addicts! Get down to SOHO this Friday for Toy Street presented by Cookies-N-Cream and DLUX. Admission is absolutely FREE! Our crew from Kidrobot New York will be holding it down this Friday, April 22 from 12-8pm at 268 Mulberry Street, NY, NY. We will have the new Shadow Serpent Dunny on hand as well as tees, hats and a bunch of blind boxed toys. 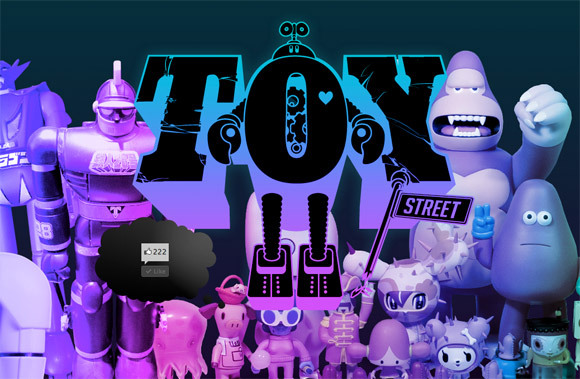 Follow @KidrobotNY on Twitter as we will be tweeting throughout the day with tons of contests and giveaways. The post Toy Street Here We Come! appeared first on Kidrobot Blog.